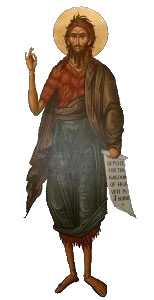 St. John the Baptist Orthodox Christian Church is a parish of the Diocese of Eagle River and the Northwest of the Antiochian Orthodox Christian Archdiocese of North America. Our parish is made up of a wide variety of people from all walks of life and includes those who were born into the faith and those who chose the faith later in life. Our services are in English. Weekly Bulletin – Click here for the latest up-to-the minute happenings at St. John Orthodox Church. Service Texts – Click here to view or print the rubrics for upcoming services.